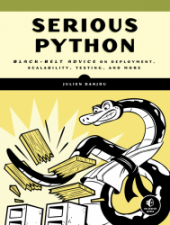 Today I'm glad to announce that my new book, Serious Python, has been released. However, you wonder… what is Serious Python? Well, Serious Python is the the new name of The Hacker's Guide to Python — the first book I published. 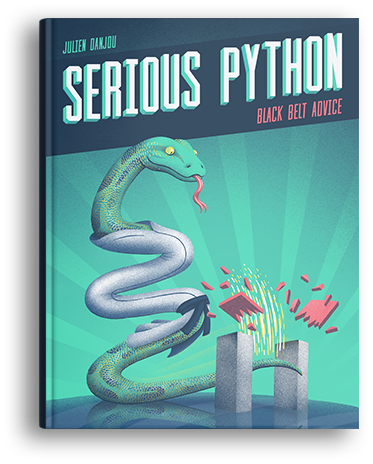 Serious Python is the 4th update of that book — but with a brand a new name and a new editor! For more than a year, I've been working with the editor No Starch Press to enhance this book and bring it to the next level! I'm very proud of what we achieved, and working with a whole team on this book has been a fantastic experience. The content has been updated to be ready for 2019: pytest is now a de-facto standard for testing, so I had to write about it. On the other hand, Python 2 support was less a focus, and I removed many mentions of Python 2 altogether. Some chapters have been reorganized, regrouped and others got enhanced with new content! The good news: you can get this new edition of the book with a 15% discount for the next 24 hours using the coupon code SERIOUSPYTHONLAUNCH on the book page. The book is also released as part as No Starch collection. They also are in charge of distributing the paperback copy of the book. If you want a version of the book that you can touch and hold in your arms, look for it in No Starch shop, on Amazon or in your favorite book shop!